Phu Quoc is known as one of the tourist attractions. Enjoyed nature with blue sea, white sand and sunshine, air fresh air naturally, many famous landscapes, Phu Quoc Tour is an attractive destination with tourists. Phu Quoc not only has beautiful beaches but also seafood that tourists can not forget. Especially Ham Ninh crab with strong fibers, delicious delicious as charming as tourists do not want to leave Phu Quoc. Ham Ninh is a fishing village on the coast of Phu Quoc in the East Island about 20km from the center of Phu Quoc. Ham Ninh fishing village is the oldest fishing village in Phu Quoc still preserved wild nature, roofed houses with leaf walls. Ham Ninh people mainly live by fishing, diving pearl fishing and fishing net fishing. 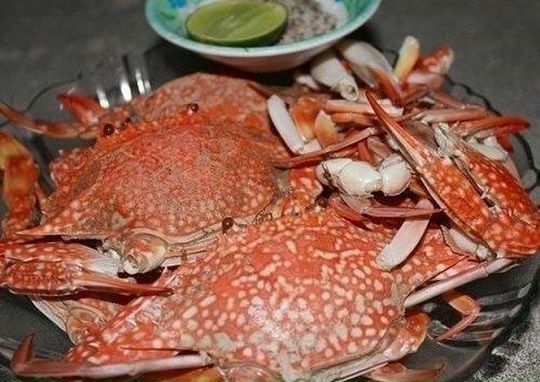 Unlike blue crabs in Ha Long, Ham Ninh crabs are small but firm meat, eat very fragrant, fresh sweet flavor is not anywhere good. Ham Ninh's taste is not as bad as Ca Mau Sea, Huỳnh Đế of Nha Trang or any specialty of Ha Long. 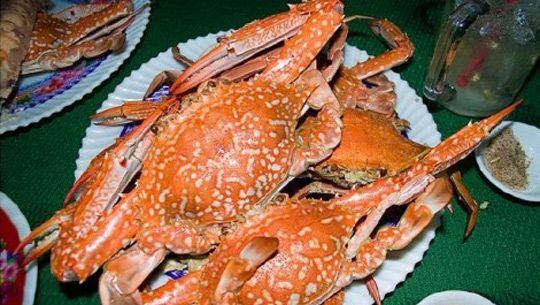 Crab is a specialty of this region, almost always there. The crab caught just boiled, bright red, meat firmly, salt lemon pepper is great. The best dine is at Ham Ninh Commune, 20km from Duong Dong Town, Phu Quoc District. Ham Ninh prices from 100k-150k / kg depending on the size but large crabs in Phu Quoc also only with fresh crab in the Central. There are no cucumbers, no cucumbers, no cucumbers, 6-7 cucumbers a cucumber, love to eat bricks; Come here not to enjoy the boiled fish is not complete.